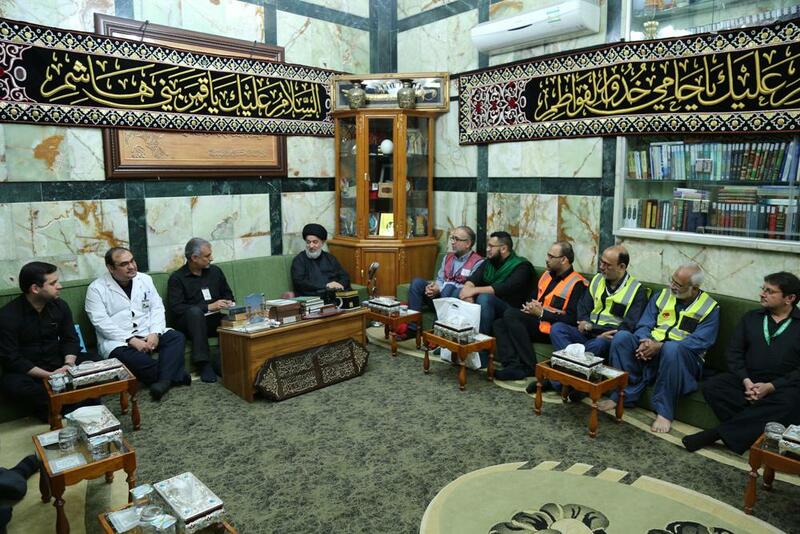 The Senior Official of the al-Abbas's (p) Holy Shrine meets with the representatives of the medical teams participating in the Ziyarat Arba'een this year. 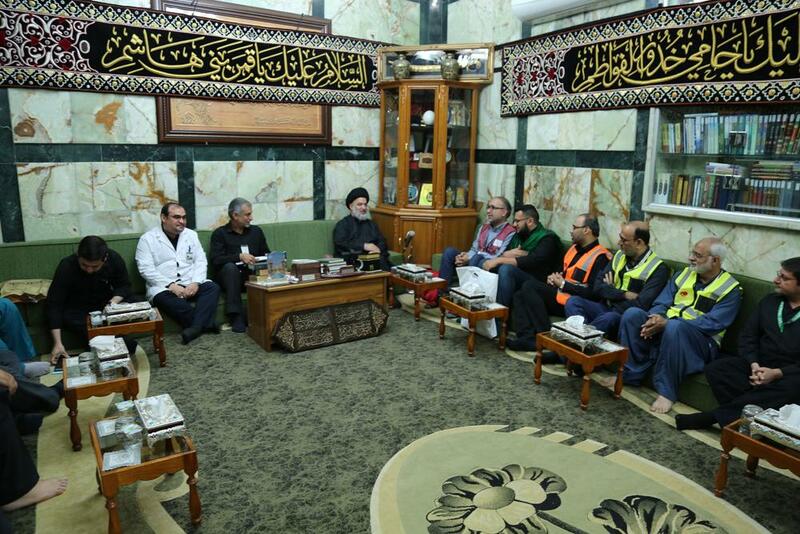 The Senior Official of the al-Abbas's (p) Holy Shrine; Sayed Ahmad al-Safi met with the representatives of the medical teams participating in the medical camps during the Ziyarat Arba'een this year. 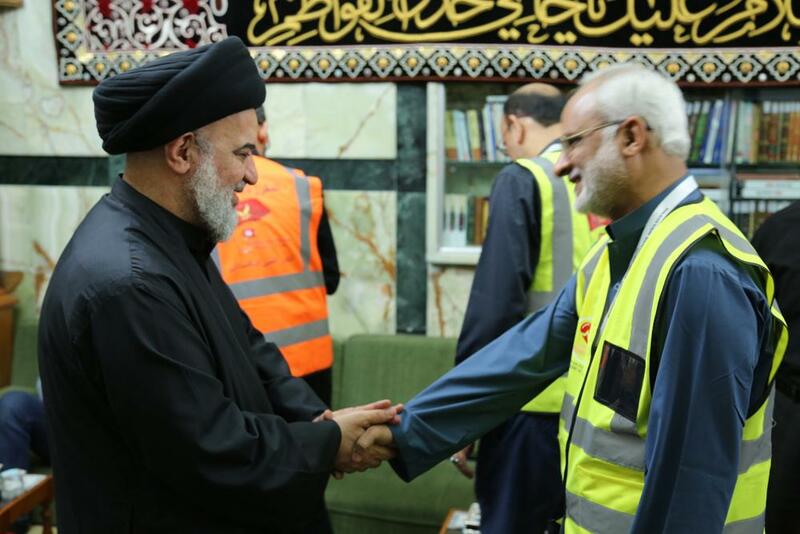 His Eminence has welcomed and thanked them for their efforts and services. 1- The need to find permanent emergency site in which emergency cases are received and treated within the health controls. 2- The need to form a joint committee of members of the participating medical delegations and the officials in the holy shrine to discuss common matters to provide quality service. 3- To create a division specialized in the medical field to carry out future technical steps and studies for prevention and continuous coordination. 4- The need to prepare a plan to deal with disasters by specialists in this field. 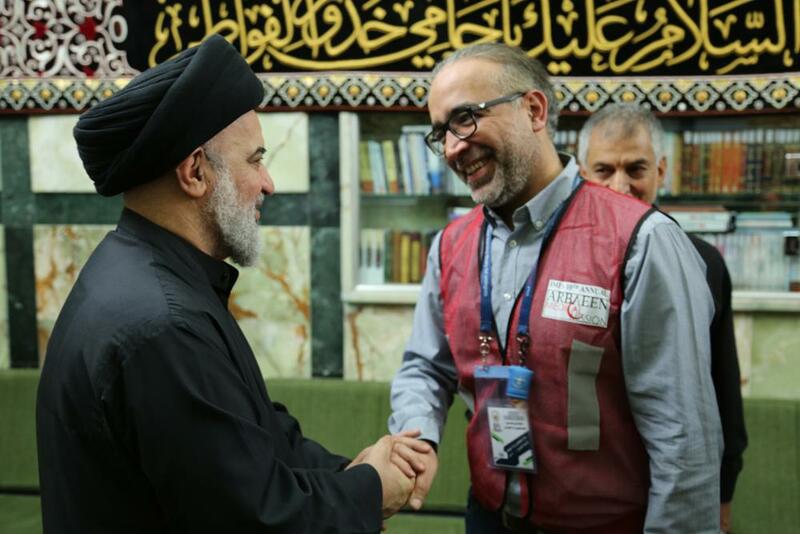 IMI Board member Dr. Qassem Jafari spoke about the medical work at the Bab Baghdad center, where the center was transformed into an emergency unit thanks to its integrated medical team and the center's medical equipment. The services have been provided in three stages, a unit for initial examination and diagnosis, where the necessary treatment is given. The patient may need to be transferred to the second stage for advanced tests or to be transferred to the care in the third stage before sending him/her to the Hussayni hospital. For his part, the supervisor of the Pakistani medical team Dr. Ali Asad stated that his team has been giving these medical service for five years, working in the hospital of Maytham al-Tammar (may Allah be pleased with him), and then started working the last three years in the Jood area in front of the Qibla gate of Aba al-Fadl (peace be upon him). At the end of the meeting, His Eminence Sayed. 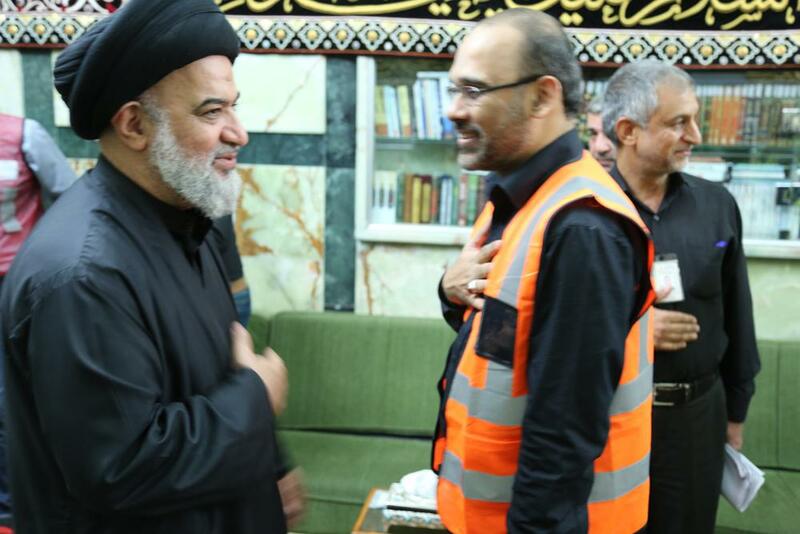 al-Safi asked the attendees to submit their proposals in a formal manner so that the al-Abbas's (p) holy shrine could follow up on what could be implemented.